Zion Music Festival is an event meant to connect with families & friends, worship God, and see hearts changed. Our mission is the fight against drug & alcohol abuse and our target group is our Youth…the next generation, and to reach them through the ministry of music. We recognize the powerful message and influence music can have on a person’s life. Music can inspire & uplift a person through song and encouraging lyrics. We believe we need to meet a person “where they’re at” and create an environment for the whole family to enjoy. 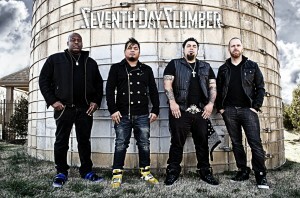 BEC Recording Artists, Seventh Day Slumber , will be headlining Zion Music Festival 2014, on Marktplatz!